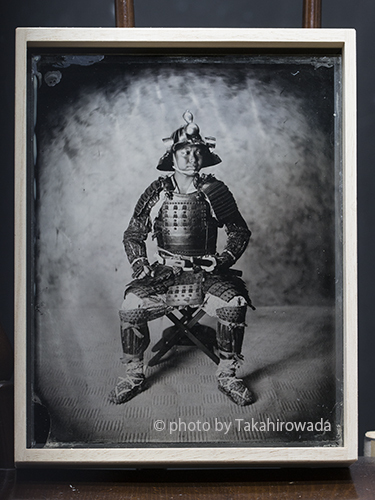 Mr. Hayashi who is doing the martial arts came to the shooting with the armor of the Edo period. In the story of the owner, it seems that things of the Edo period and some of the Momoyama period are also mixed. t seems that it is actually used even in the horseback of Soma. It is a pleasant wet plate photo gallery with such opportunity. .